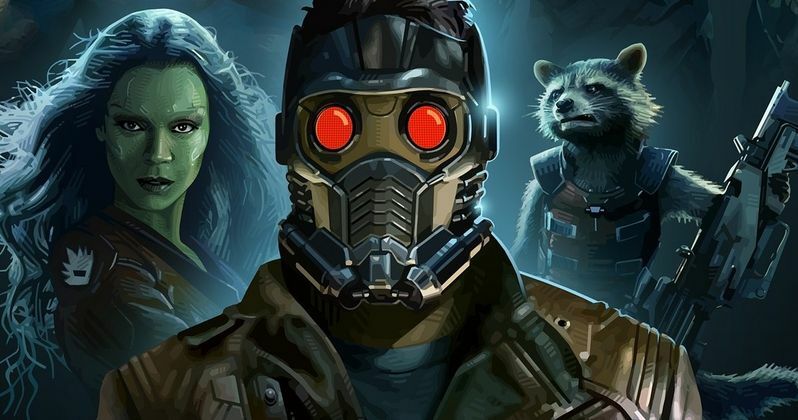 While critics have hailed Guardians of the Galaxy as a Marvel masterpiece, their one big complaint was the lack of a traditional post-credits scene, which has become a staple of the Marvel Cinematic Universe. Don't worry, true believers! There is a post-credit scene coming, it just won't be shown until opening night, in theaters, so that it's not spoiled before fans get to see it. James Gunn directed the scene himself, and while it does connect to other Marvel movies because of certain characters involved, it will be its own thing, and purely tied into Guardians of the Galaxy. It was previously hinted that this credits cookie (what they were called back in the old days) will add a 'new element' to Marvel. Speaking with Total Film, the director explained that the scene was shot two days after the Hollywood premiere this past weekend. "Oh we have a post-credit sequence for you! Oh, do we ever! Yes, well we are connected, first of all we are connected...because of certain characters...but we have a post-credit sequence that's all our own! That in all honestly we have just been doing the past few days so I think it's going to be a great deal of fun for people. You don't even want to know what it is! Pure joy, pure joy, that's two words!" In a second interview, this time with Screen Rant, James Gunn gave some more background on the scene in question and hinted at what we can expect. "It's directed by me, it will be out and it introduces something really awesome to the Marvel Universe that people will get to see, but not until the movie comes out in theaters, we're saving it." Does this make you even more excited for Guardians of the Galaxy?